If you’re one of the millions of Americans with allergies or asthma, or the parents of a child who struggles with one or even both issues, then you know that over time, you begin to determine what can trigger an episode. Sometimes it’s an entire season; other times, it’s changing climates — say, traveling from your hometown in arid Arizona to muggy south Florida for vacation; and still plenty of other instances when stress, diet or lack of sleep can weaken your immune system and make you more susceptible to an attack. Turns out, there’s another important trigger for allergy and asthma sufferers — and it’s probably one you’ve experienced, whether you’re aware of it or not: chemical exposure. Think about it: it can be something as simple as walking through a department store’s beauty section, and you get a whiff of just-sprayed perfume or the concentration of chemicals from dye used in clothing makes your eyes and nose start to water. If you’ve ever had itchy, red or scratchy skin after switching detergents. Or had new carpet installed in your home, only to find yourself with a headache or sore throat shortly afterward. So many things in our daily lives contain synthetic fragrances and chemicals: beauty products, household cleaners, building materials, cookware, furniture, carpeting — and so many people have adverse reactions, which can trigger anything from a mild headache to a full-blown asthma attack to crushing fatigue. 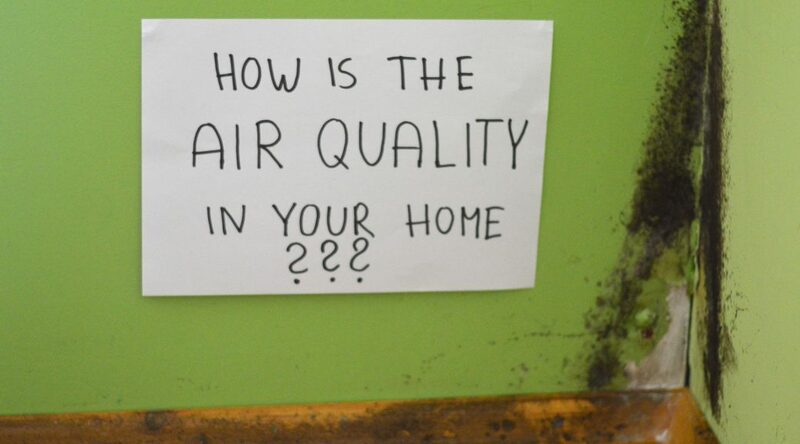 If these things apply to you or your family, there are different steps you can take: both organically through research, choices and tangible actions, and by installing and using available technologies that can help reduce and eliminate pollutants from your home. Annoyance Reactions. These result from a heightened sensitivity to unpleasant odors. Your ability to cope with offensive—but mostly nonirritating—odors has a lot to do with genetic or acquired factors, among which are infection and inflammation of the mucous membranes or polyps, and abuse of tobacco and nasal decongestants. Irritational Syndromes. These are caused by significant exposure to irritating chemicals that are more likely than others to penetrate the mucous membranes. These types of reactions can affect certain nerve endings and cause burning sensations in the nose, eyes and throat. Immune Hypersensitivity. This is the basis of allergic diseases, such as allergic rhinitis (hay fever) and asthma. They are generally caused by naturally occurring organic chemicals found in pollens, molds, dust and animals. While it can be next to impossible to guard against the effects of chemicals once you step foot outside your home, there are (fortunately!) many steps you can take to minimize the negative effects chemicals can create inside your home. Air out new carpet and furniture before installation, so it can off-gas before being brought into the home. Choose low-emission or “green” carpets and padding for fewer health effects. Avoid products with high VOC (volatile organic compound) content. Opt for low- or zero-VOC paints and finishes for indoor spaces and furniture. Buy solid wood, hardboard or ‘exterior grade’ plywood in place of pressed wood products, or consider buying antique furniture. Establish your home as a “no smoking” area. Ask installers to use low-emission adhesives or consider tacking down the carpeting without adhesives at all. Consider staying elsewhere during and immediately following installation of new furniture/carpeting/paint in your home. Control room climate by keeping the temperature and humidity low, which can decrease the amount of some VOCs like formaldehyde. Properly care for and clean your carpets to remove allergens and contaminants. Think about a ‘no-shoes’ policy in your home. This can help keep pesticides (especially lawn chemicals) from entering your home. It also help cut down on your cleaning routine. High grade air purifiers like the Beyond Guardian Air can go a long way in significantly reducing the amount of odors, fumes, allergens and microscopic debris in your home. Beyond by Aerus products combine world-class, NASA-inspired technologies with innovative design in order to establish extraordinary, healthy living environments. Our goal is to create a new standard of environmental quality for every indoor space, and Beyond by Aerus products are instrumental in this implementation. Featuring ActivePure®, Certified Space Technology, Beyond by Aerus products help create a cleaner, healthier and more comfortable living environment at home, at work, and beyond.